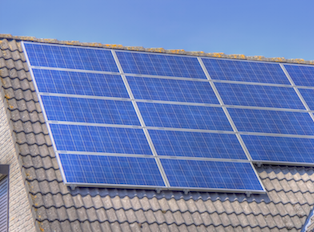 Which one of the following is an example of light being converted into electrical energy? Which one of the following is an example of light being converted into chemical energy? Which one of the following energies cannot be directly converted into light energy? Which one of the following objects is luminous? Light travels at approximately 300,000,000 metres per second. How long does it take light to travel from the sun to earth? Which one of the following is NOT capable of being a luminous object? Which one of the following is an example of a translucent object? A pencil when partially submerged in a glass of water may appear to be crooked. What is this phenomenon called? 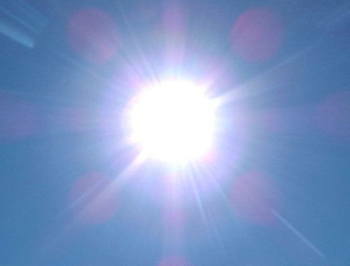 What is the name of the phenomenon when the moon passes between the sun and the earth? The diagram shows a solar eclipse. What will a person at X and a person at Y observe? 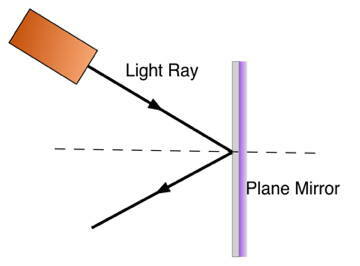 The diagram shows a ray box shining a ray of light onto a plane mirror. 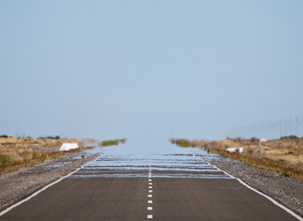 Which one of the following is NOT an everyday application of the refraction of light? A ray of light passes through a glass block as shown. In the glass block it changes direction. 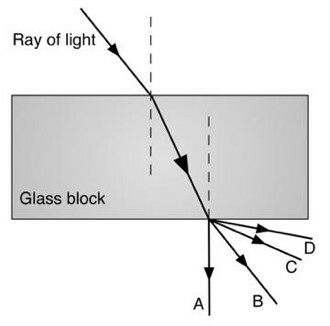 Which one of the rays A, B, C or D is most likely to leave the glass block? 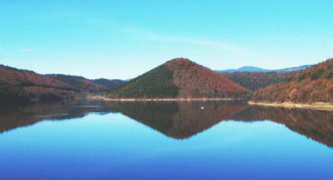 The photograph shows a lakeside scene. The photograph shows rays of light passing through a lens and coming to a focus before diverging again. Which one of the following would not be a use of this phenomenon? 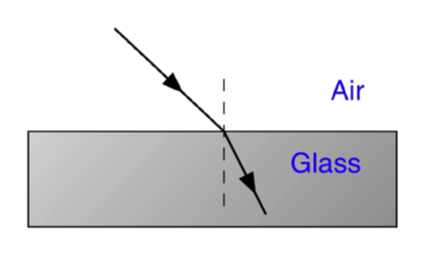 The diagram shows a ray of white light entering a triangular glass prism. The light passes through the prism and emerges as a band of coloured light. What is this separation of white light into different colours called? 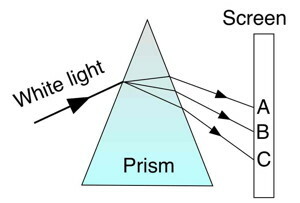 The diagram shows a ray of white light entering a triangular glass prism. 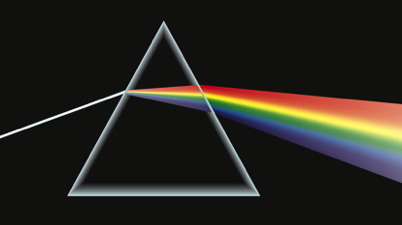 The light passes through the prism and emerges as a band of coloured light which strikes a screen. What are the colours x and y? 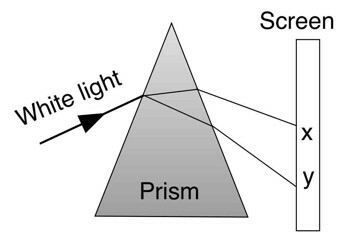 The diagram shows a ray of white light entering a triangular glass prism. The light passes through the prism and emerges as a band of coloured light. What is the name of the coloured band of light produced? 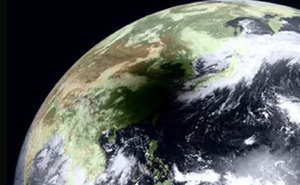 The photograph (courtesy of NASA), taken from a satellite, shows a total eclipse over Taiwan and China. What property of light waves enables eclipses to form? Rays of light strike a concave lens. Which one of the following shows the direction that these rays will follow when they come out the opposite side? 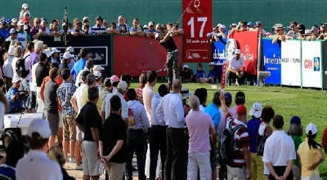 The photo shows a periscope, an instrument which uses reflection of light. 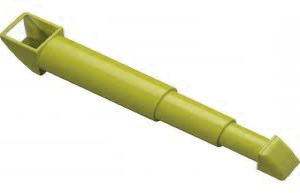 Which one of the following is a use of periscopes? What is the colour at B? What type of lens is shown in the diagram? What is the minimum number of plane mirrors needed to make a periscope? Two students are discussing the Sun and the Moon. 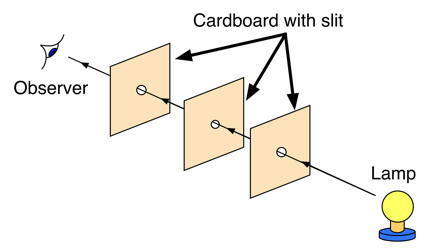 Robert arranged a torch, two cards and a screen as shown in the diagram. Light from the torch passed through holes in the cards and onto the screen. Why did a spot of light appear on the screen? Light can be split up into many colours. Light can travel through empty space.